We offer a modernised and spacious office furnished to your specification. It offers the occupier flexible and extremely cost effective accommodation, with a management solution that can be provided depending on the exact requirement of the occupier. This is situated in an ideal location, 5 minutes from the North East's main artery, the A90, 30 minutes from both Dundee and Aberdeen. The site benefits from plentiful parking, and each of the suites has the benefit of kitchen and breakout spaces and personal facilities. No matter the scale of your business we look to meet your needs. 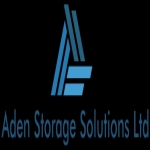 Contact Adens Storage Solutions Ltd in Brechin, Angus when you are looking for domestic or commercial storage. We are happy to provide free estimates and suitable advice relating to your needs. Whether you are looking for Caravan storage near Arbroath, Self Storage in Forfar or container hire in Angus; contact Adens Storage Solutions Ltd for a free quote on any of your storage needs.